But still your blog content is not getting properly index by Google. What’s the reasons and factors behind this? You might be thinking that why Google is not indexing your blog content properly, your latest blog posts are not shown on Google, what is the reason behind why Google is not indexing your blog posts and the most common thinking is how to quickly index your blog posts on Google. But what’s the right procedure for it? What are the steps should your remember? 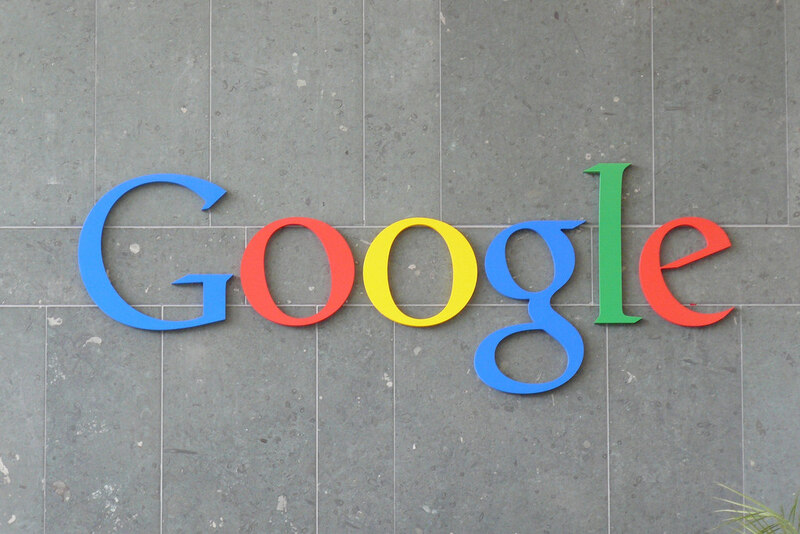 Are you tired waiting for Google to come and check your website or blog? Are you searching for how to get index your new blog post super fast? So, here’s the quick procedure by which you can easily index your latest blog post on Google without any type of issues. How to Get Index Your Latest Blog Post Quickly? Today, I have decided to write a detailed article on getting latest blog content index by google super fast. Not only this much but by carefully following the below steps you can easily index your content in any search engines without any type of problems. Writing Quality Blog posts is one of the most important factor which is responsible to get index your next blog post quickly. By carefully doing the proper research and by putting good keywords in blog post, any blogger can easily index the blog content fast on search engines. And yes the quality of your blog posts matters a lot. 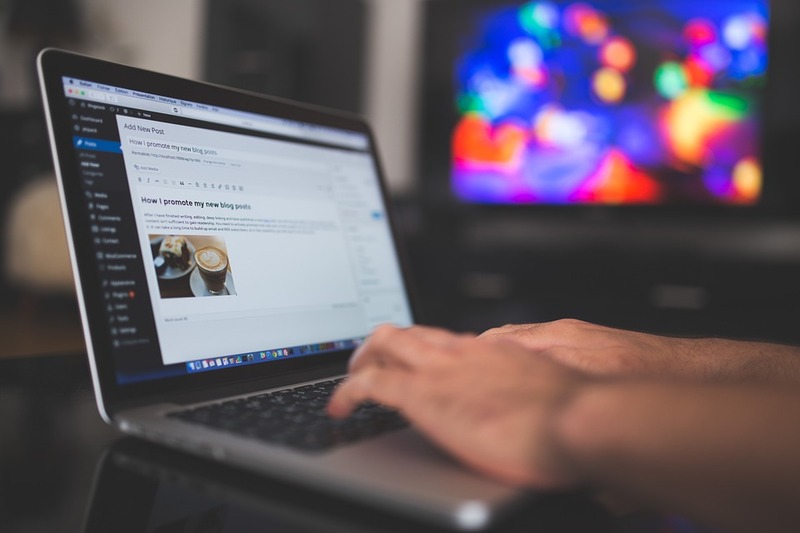 You should practice for writing blog posts more than 500+ words for your blogs. Also by publishing your blog posts daily you can easily call Google at your doorstep which will be very beneficial for you as well as for your blog. 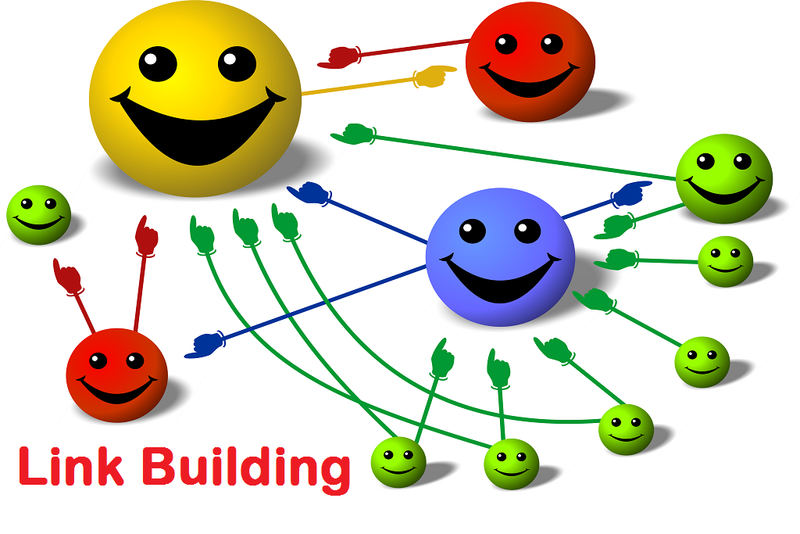 These are some of the most common ways which are followed by bloggers and other website owners for actually building quality backlinks. But the most effective way by which you can make good backlinks is writing amazing content on your blog and let others link to your blog posts. This is one of the most common way and useful platform where bloggers promote their blog content. You can easily promote your blog post on Google + and try to get more and more Google Plus shares as possible. By using facebook and promoting your content on facebook you can easily attract web traffic on your blog. You can also drive good blog readers to your blog with the proper use of facebook. You can Tweet latest blog posts and tag your friends in the tweet. It is possible that your friends may share your tweet on their profile. You should start leaving good quality comments and your latest blog posts links on other blog with high Authority. You can use commentluv enable dofollow blogs for making quality backlinks. By using commentluv you will not get only help in getting good number of quality backlinks but also help you in getting high page Authority. 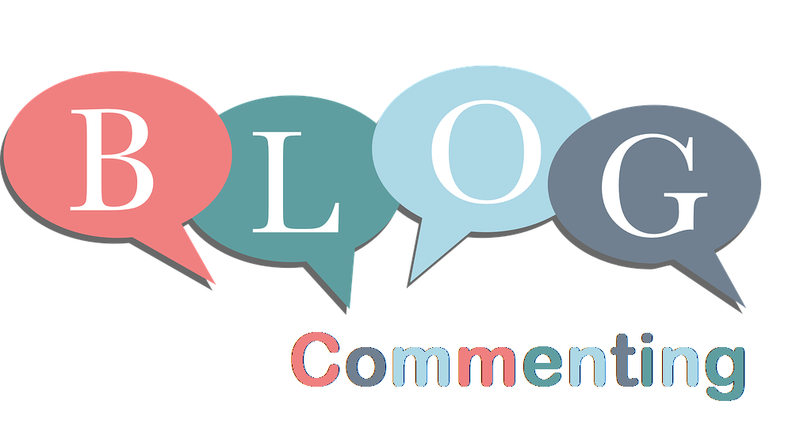 Another thing which you should remember before leaving your valuable comments on other blog is try to avoid commenting “Nice Posts or Thanks for sharing”. I will suggest you to first carefully read the whole article nicely and then share your views about that blog content in the comments. 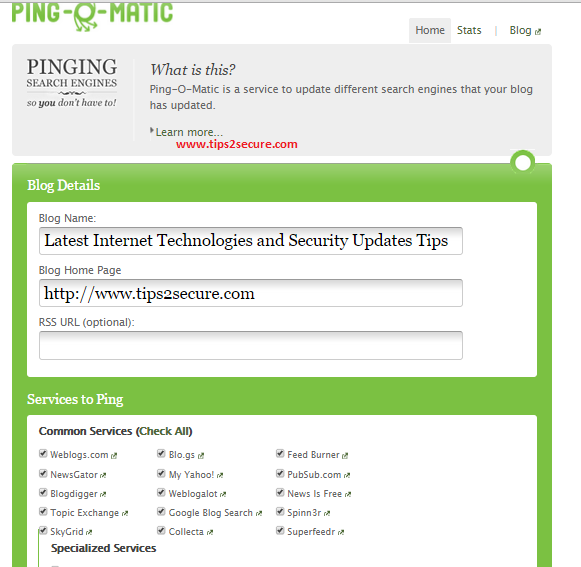 Ping-O-Matic is an awesome service which is used for updating different search engines that your blog has been updated recently. This is one of the most effective way which works excellent for both WordPress as well as for Blogspot users. You just need to go to Ping-O-Matic, type your blog name, blog URL and feed URL and that’s all. Then by selecting all the services and click send ping button you can ping your latest blog post to many good search engines. After publishing your latest blog post you should carefully follow all the above listed steps. By following the above procedure you will get lots of help in driving more traffic from Google to your blog. 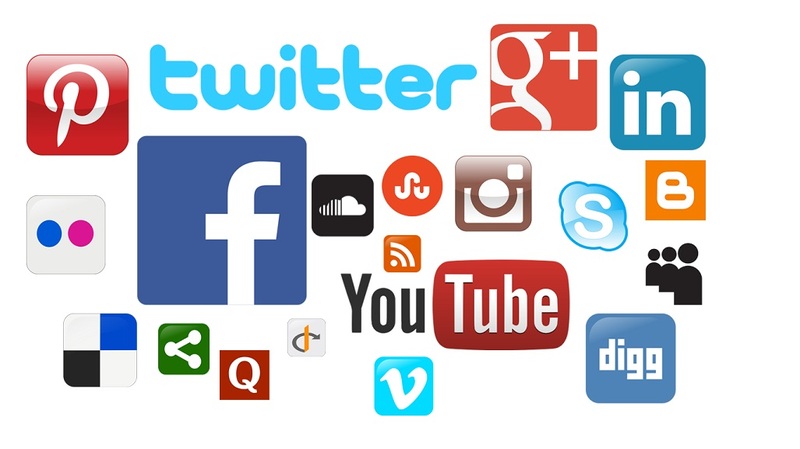 I also want to say that by proper use of social networking websites you can easily promote your blog content more and more and that will be very beneficial for your blog page ranking.